Boise Watershed facility is the educational arm of the wastewater treatment network that serves the Treasure Valley. Here, residents of all ages explore the story of Boise’s shared water system from through a variety of exhibits, classes and public events. In 2015, an outdoor exhibit space was envisioned- The River Campus- that would present the story of Boise's water resources in an immersive and unique visitor experience through the innovative application of public artworks and landscape architecture. Artists were selected to produce outdoor artworks that would be linked together along a pathway, providing visitors a complete walk-through narrative of the water cycle. Each component is designed to showcase each chapter in the story of Boise's water supply, offering multiple points of engagement with the acting dynamic medium of water. 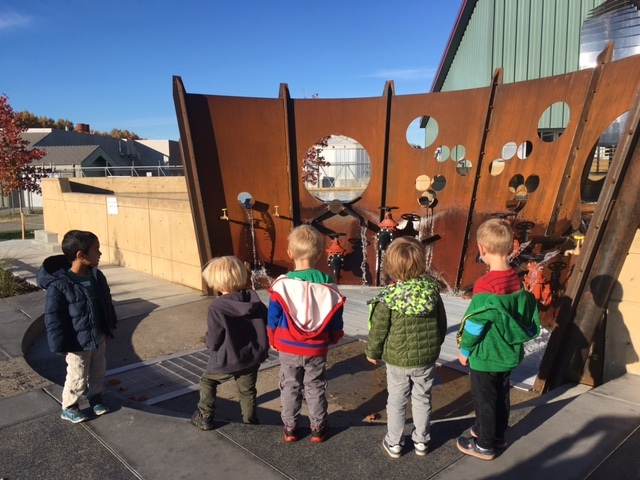 “Fluxion” is an interactive, multi-piece outdoor sculpture consisting of a concrete reservoir, weathering steel dam, and an open-grate spillway. 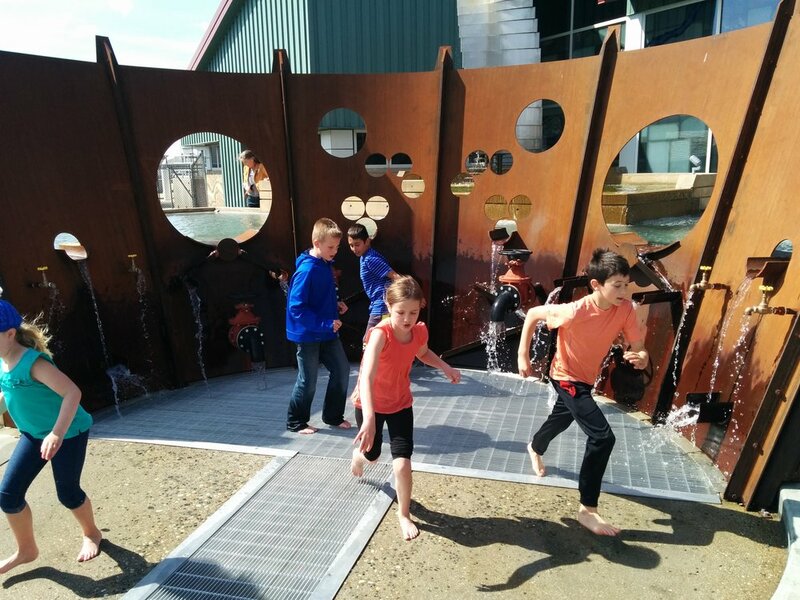 Each component offers visitors multiple points of entry to interact with the flow of water. 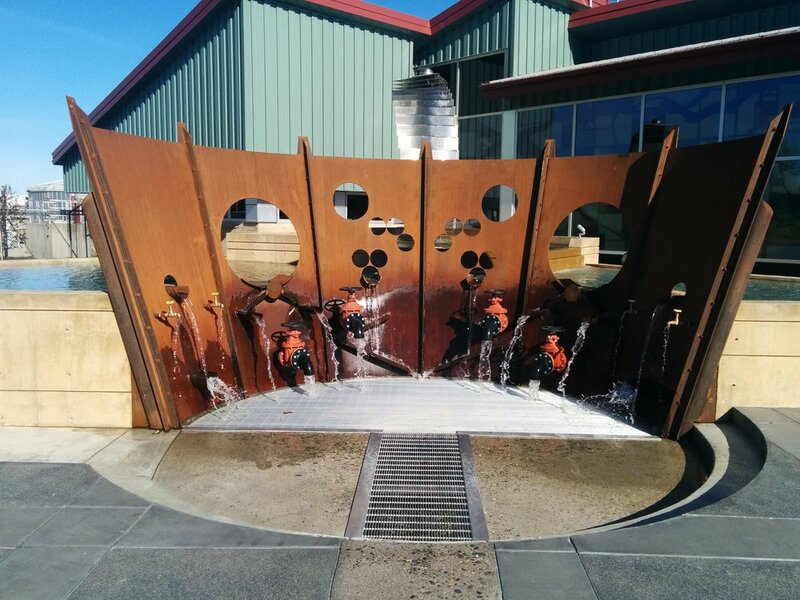 The metal dam sculpture is a fully-interactive piece, drawing in visitors to the operable collection of valves, weirs, and water channels to control the flow of water out from the reservoir element to the open spillway, and then downstream to the rest of the campus. 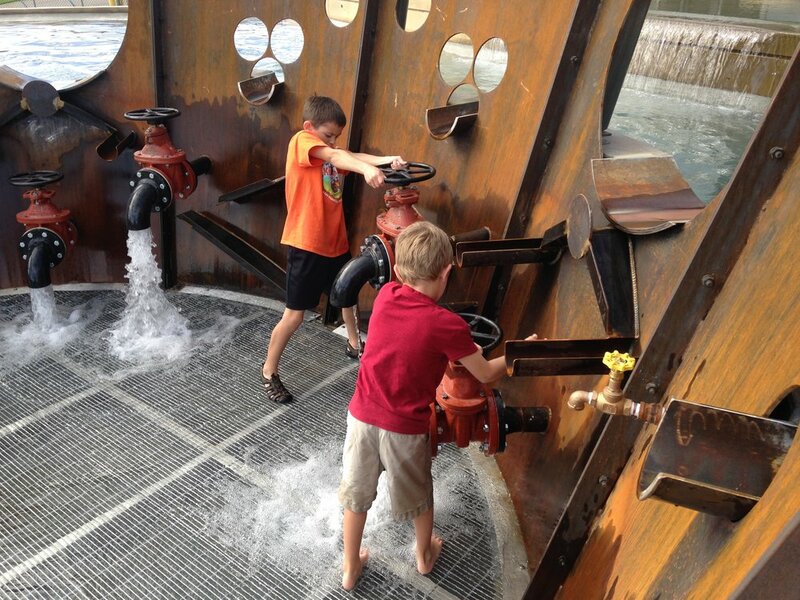 These artworks provide visitors with intuitive learning opportunities through the act of play and experimentation - too much water flowing through the dam will eventually empty the reservoir until it can be refilled again by a connected sculpture called “Headwaters” by Boise artist Matt Grover. "When working on Boise WaterShed public art projects with Byron, he demonstrated great comfort working with a team of artists while bringing forth strong conceptual ideas of his own. He backed up his designs with construction drawings, knowing they could be executed by the selected contractor."